It seems the whole world is now waking up and getting ready for concerted and decisive offensive against Boko Haram, after abducting 200 schoolgirls in north-eastern Nigeria, whom they are now threatening to sell into slavery, contrary to Islamic principles. Boko Haram is an Islamic terrorist group, responsible for waging murderous bombing attacks in the country, which have taken the lives of thousands of people, in a bid to converting Nigeria into an Islamic state. The Nigerian government has proved itself helpless in stopping the attacks and bringing the terrorists to justice. The president – Jonathan Goodluck has been accused of playing politics with the lives of northerners, as elections draw closer. 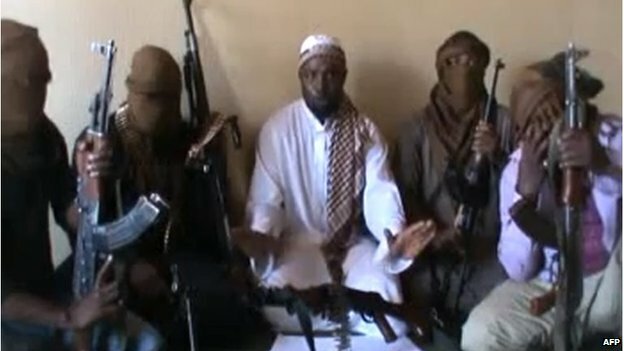 But after the deafening silence of British prime minister David Cameron and US president Obama towards the increasing threats of Boko Haram to the stability of Nigeria and the West African sub-region, both leaders today announced concrete measures to help the Nigerian government take on the terrorists, as well as rescue the 200 schoolgirls. The U.N. has warned the leaders of Boko Haram that war crimes charges do not expire. But as Lanre Ola reports for Reuters today, this new offer of support from Britain and the USA may well prove to be the turning point, in the war against Boko Haram. 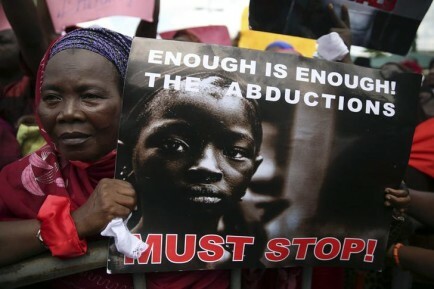 Suspected Boko Haram gunmen kidnapped eight girls from a village near one of the Islamists’ strongholds in north-eastern Nigeria overnight, while the United States made plans on Tuesday to help search for more than 200 schoolgirls seized by the militant group last month. In a separate interview with ABC News, Obama called the kidnappings heartbreaking and outrageous. The annual gathering of the wealthy and powerful, taking place in Abuja from May 7 to 9. Nigerian officials had hoped the event would highlight their country’s potential as Africa’s hottest investment destination since it became the continent’s biggest economy from a GDP recalculation in March. The forum has instead been overshadowed by the crisis over the girls, whose whereabouts remain a mystery. That has thrown the government’s failings on national security into the spotlight just when it sought to parade its achievements such as power privatisation and economic stability to top global business people and politicians. Police and residents said the eight girls kidnapped overnight were aged 12 to 15. Lazarus Musa, a resident of the village of Warabe, told Reuters that armed men had opened fire during the raid. “They were many, and all of them carried guns. They came in two vehicles painted in army colour. They started shooting in our village,” Musa said by telephone from the village in the hilly Gwoza area, Boko Haram’s main base. Nigerian President Goodluck Jonathan welcomed the U.S. offer to send an American team to Nigeria to support the government’s efforts to find the girls, the Obama administration said on Tuesday. White House spokesman Jay Carney told reporters the United States was sending an “interdisciplinary team” including military personnel to help in the search. “We warn the perpetrators that there is an absolute prohibition against slavery and sexual slavery in international law. 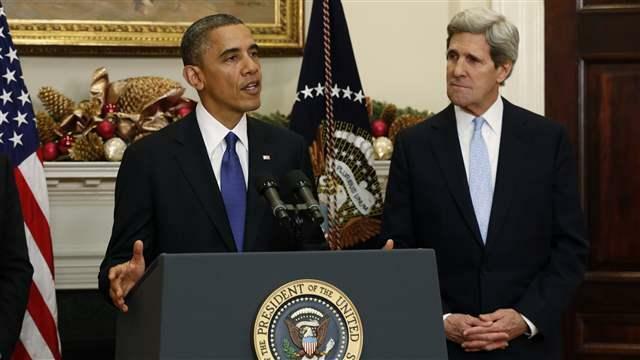 These can … constitute crimes against humanity,” U.N. human rights spokesman Rupert Colville said in Geneva. 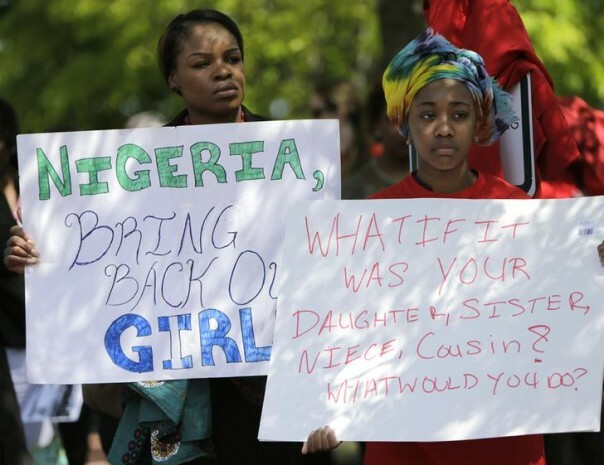 The military’s inability to find the girls in three weeks has led to protests in the northeast, Abuja and Lagos, the commercial capital. Worsening violence so close to the capital has also put the spotlight on security arrangements for the World Economic Forum, with a few delegates cancelling, although organisers still expect most to arrive as planned. Police and military units were deployed outside the Sheraton hotel. A black pickup truck carrying four men dressed in black with sub-machine guns patrolled, then sped off. I feel at this time, it is justifiable for actions to be taken to stop these guys perpetrating their viscious acts of abuse in the name of religious fanatism. I cannot comprehend how someone will seek to capture innocent children just as a way of making their voices heard by the world. As a Sierra Leonean, I will encourage all concerned citizens to be vigilant, so as to expose any such acts in our country. Sierra Leone is one of the most peaceful nations with 100% religious tolerance; we’re never scared of being around people of other faiths. Let us stand up and be united to stop all these so-called foreign intruders from infiltrating the minds of our citizens. At this point in time, with the weak economic situation in our country, Sierra Leoneans in the motherland can be gullible and hence may be easily convinced with cash or other kinds of gestures to turn against their own people through destructive fanaticism. SIERRA LEONEANS, PLEASE RAISE YOUR VOICES AND SAY NO TO RELIGIOUS FANATICISM…………We are what we are.